The Web is awash in movies and TV programs, but how do you find the really good stuff -- you know, the shows that interest you? You could browse multiple sites, including crowd-pleasers like Hulu, but that's too slow and tedious. What we need is an easy-to-use Internet programming guide, and that's what Clicker strives to be. The site just opened to the general public after a 58-day beta period, and from what I've seen so far, it's a great resource for someone who watches movies, TV shows, documentaries, and other videos online. 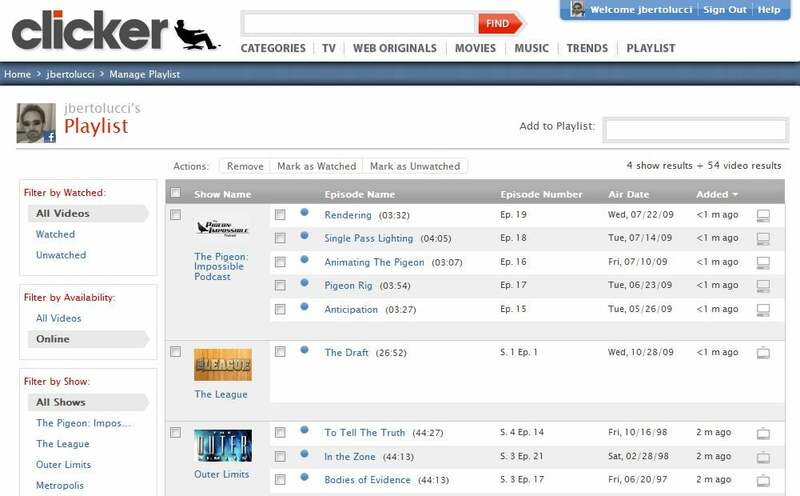 Clicker provides fast access to more than 400,000 full episodes of programming from some 7000 shows, according to company CEO Jim Lanzone's blog. 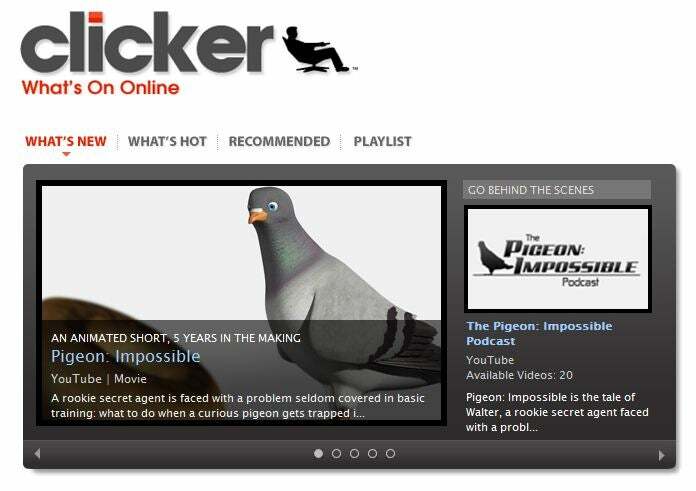 "Clicker is a hybrid of many other kinds of information and entertainment sites: one part directory, one part search engine, one part Wiki, one part entertainment guide, and one part DVR," Lanzone writes. Clicker is free to use. You don't have to join to use basic features, such as searching for specific shows, but the service works best if you create an account. The home page provides links to new, popular, and recommended programming. There's also a query window (not pictured) where you can search by title, topic, category, and so on. 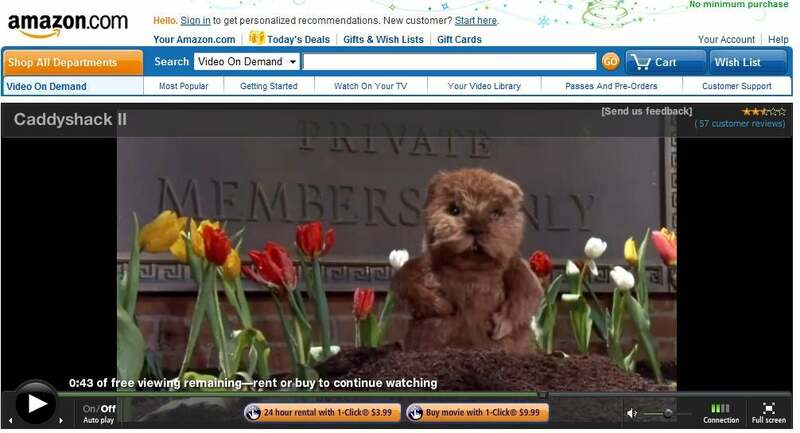 It's pretty easy to find free TV shows, as well as pay movies on sites such as Amazon VOD and Netflix. 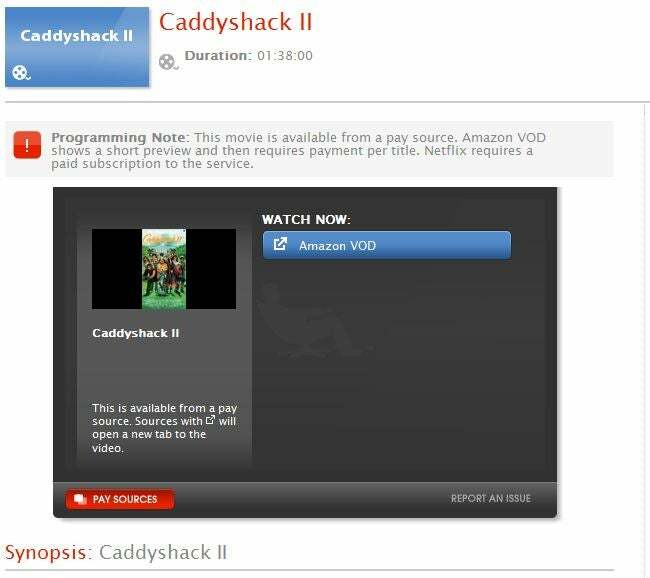 Say, for instance, you want to watch "Caddyshack II" (a celluloid classic, I know). Enter the title, and Clicker provides a movie synopsis and a link to Amazon VOD, a pay source. Click the Amazon link, and a separate browser window takes you directly to the movie on Amazon, where you can watch a preview, or rent or buy the film. Clicker is a comprehensive programming guide. You can browse multiple categories and subcategories to find the show you want. To get the most from Clicker, you'll need to create an account. If you're a Facebook user, this is easy: Simply use your Facebook ID (email and password) to sign up. My favorite Clicker feature thus far is the Playlist, a virtual DVR that keeps track of your favorite shows, films, news videos, and so on. If you missed an episode of a particular TV sitcom or drama, you can find it fast via your Playlist. I'm sure I'll find more likes and dislikes as I delve deeper into Clicker. But for now, I'm impressed. If you watch a lot of movies or TV shows online, this programming guide is worth a look.